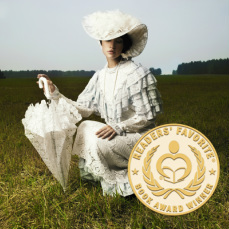 ​Violet Hailey, unwed mother of six year old Priscilla, longs to begin life anew after selling her family farm to the Railroad Commission. To that end, under the guise of being a widow, she travels to Independence, Missouri to join up with a wagon train bound for New Mexico Territory, via the Santa Fe Trail. 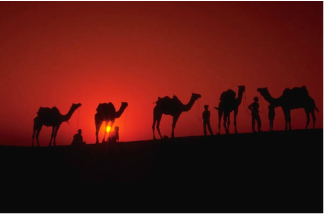 However, a few days into her journey, she realizes she has been duped in the purchase of her wagon when it breaks down and cannot be repaired. Major Mendez, the wagon master, insists that unusual circumstances call for unusual choices, and forces her into a decision--either forego the dictates of society by sharing the wagon of an unmarried man or depart the train in the next town. The sad state of her finances, and her determination to reach Santa Fe, compel her to continue onward with a man she considers uncouth and rude. Theodore Johansson, TJ for short, isn't averse to helping the widow and her daughter; it's just that her distaste for their situation exacerbates his own frustration when she proves to be doggedly stubborn. Although born into wealth and privilege, Cecelia Brightman has never found the forever-after kind of happiness she seeks. She has devoted her life to helping others through charity work, but now, at the age of forty-two, she can no longer continue on the same path. Much to the chagrin of her parents and friends, she leaves the trappings of wealth to follow her heart to the small town of Paxtonville in Colorado to be near her brother and his large family. Is there Somewhere that Christmas wishes come true? Saul Flanahan, a physically challenged young man, has lived an off-grid, solitary life with his parents. As a child he believed their tales about mermaids, but now in his mid-twenties, he indulges their whimsical proclivities because of his love for them. However, when a beautiful young woman washes ashore and claims to be the Princess of the Pacific, he is sure his parents have hired an actress. 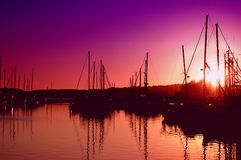 Raymond Johnson, III, decides to expand his non-profit veteran's organization headquartered in Portland, Oregon, to the charming and friendly coastal town of Somewhere, the birthplace of his deceased grandfather. While dining at Mama Pink's, the most popular eatery in town, he meets a cute, but clumsy waitress named Suzy, who trips and dumps his order in his lap. 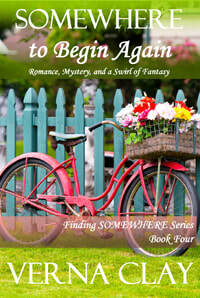 Soon Raymond and Suzy are trying to piece together the mystery of Raymond, Sr.'s reason for leaving Somewhere in 1950. ​Is there somewhere that past and present collide? Sandy Gutierrez doesn't know if she's in the midst of a lucid dream or perhaps a nightmare. As owner of the popular boutique Bathing Suits Galore in Somewhere, Oregon, she unexpectedly finds her orderly life shifted unimaginably when a handsome tourist enters her shop. Of one thing Quince Calloway is sure—he has lived before. During childhood his beloved parents not only encouraged his remembrances, but his mother documented them. 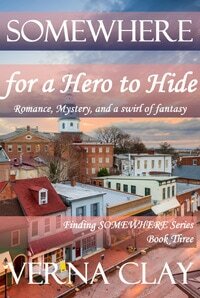 After her death, he rediscovers her journals and is faced with a decision: follow the clues in the journals or dismiss them and return to his job as a police detective? 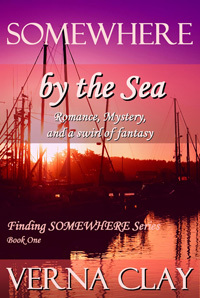 He decides to follow the clues that lead to a quaint and colorful coastal Oregon town. Unwittingly, a charming shopkeeper is thrust into his quest for answers. ​Dutch Mulvaney, a hero who will spend the rest of his life in a wheelchair, now carves sea creatures from driftwood and signs them as "Beach Bum." His relocation from the East Coast to the small coastal town of Somewhere in Oregon was a desperate attempt to salvage his sanity and dignity. Now, after a year of solitude, he finally feels ready to venture back into society. Taylor Jones enjoys her job as a waitress at Mama Pink's Diner, the most popular eatery in Somewhere. Daily, she thanks the universe for Edna Pink, the owner. Without Edna's help she could very well be six feet under, with her two precious sons being raised by a crime lord. When a disabled man enters the diner she gets a premonition that her life is about to change. Should she remain in the town she loves, or run yet again? Rodeo star, Harris Brightman, is recovering from an injury he suffered after being thrown and trampled by Devil-for-Hire. His physical injuries however, are no match for the emotional ones caused by reporter Lucinda Bergamot, the woman he was falling for. 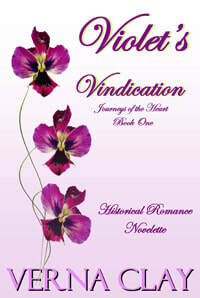 Her betrayal in revealing tabloid worthy secrets about his life isn't something he can forgive. But when she shows up in his town working for Paxtonville's local newspaper, and the lead story becomes her apology to him and his family, he's astonished. Even so, forgiveness isn't an option. Lucinda made the biggest mistake of her life when she threw Harris "under the bus" and she regrets the exposé that appeared in The Seattle Daily. The only way to make amends is to swallow her pride and print a public apology in his town's local newspaper. Of course, no one knows she was hired by The Paxtonville Weekly because the editor of the "Daily" made a secret deal to get her there. She's digging a hole for herself that she may never escape. 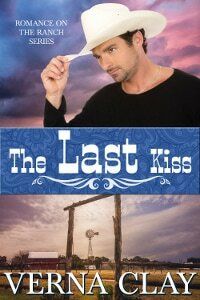 Note: This is the last book in the "Romance on the Ranch Series" and many characters from previous books find their way into this story. When the bus Sunny Fairbanks is traveling on stops for a layover in the small seaside town of Somewhere, Oregon, she decides to go for a walk on the beach at sunrise—and falls in love with the area. Her decision as to whether to remain in Somewhere for a few days, or continue northward, is unexpectedly made for her when she steps on a shard of glass. A young man jogging along the shoreline comes to her aid and she is forced to do something she hates--accept help. Vicky Patterson continues to be amazed that her brother was able to send a message to her from beyond the grave through her friends Faith Bennison and Baxter Hope. And that message has set her free from a lifetime of guilt. In fact, she's so free, that she takes on the task of heading up a group of protesters against Wainwright Resorts, the corporation that wants to purchase a portion of the town's public beach and build a world class resort that will, of course, destroy the quaintness of her community. She's angry with Michael Wainwright, III, and intent on stopping his plans. Faith Bennison suffered a tragedy that changed her life in unimaginable ways and she fears she will die of a broken heart. 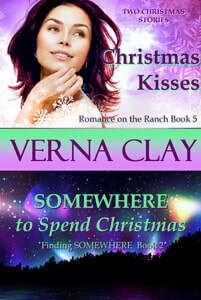 In an attempt to salvage her life, she leaves her home in the Midwest and travels to the small Oregon town of Somewhere. As she settles into the day-to-day life at Hope Bed & Breakfast, she makes friends and even meets a man who jump-starts her battered heart. Strange happenings, however, have her questioning her sanity as she tries to make sense of an unfathomable encounter. Click picture to go to excerpt. Since childhood Angel Martinez has loved Harris Brightman, the son of her parents' friends. But now, as a grown woman, she must make a decision--go for what she wants or continue pleasing others. Her entire life has been one of accomplishment and praise. She was always at the top of her class and now has a Master's Degree in Business Administration, with many lucrative employment opportunities. Often, she's been admired for her beauty and even turned down modeling offers. Yet, with everything she has going for her, she's miserable. Her heart's desire is to be a homemaker, like her mother, creating a beautiful haven for her own family. 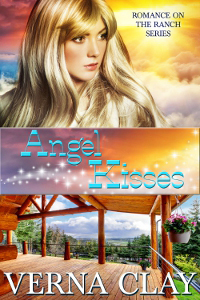 After a heart-to-heart talk with her best friend, Angel makes a decision that takes her out of her comfort zone. 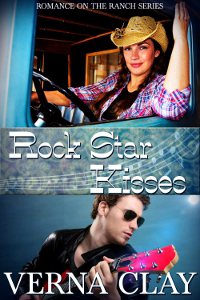 She decides to confront Harris--now a well known rodeo star--with her feelings to see if they have a chance. However, life can be quirky and the best laid plans often go awry. Click book to read excerpt. 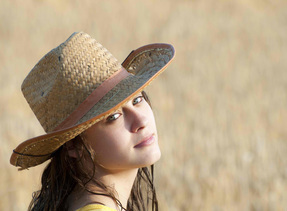 Hannah Tanner, daughter of Sage and Sarah Tanner from book one, Dream Kisses, has always dreamed of experiencing diverse cultures in countries other than the United States. To that end, she joins a nonprofit organization that sends her to a third world country where she works as office assistant to a doctor in the same organization. From the beginning, Hannah and the doctor develop a rocky relationship, but over time they become friends--and inevitably much more. 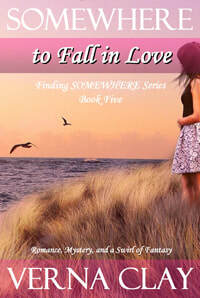 Hannah falls deeply in love...then the unthinkable happens. Working for a non-profit organization in a third world country requires tenacity and drive, both of which Dr. Alexavier Wyndham (son of an English Earl) possesses in abundance. The latest addition to his staff isn't what he expected. The girl may be young and frail looking, but the fact that she doesn't kowtow to him is rather impressive. Maybe he'll give her a chance. One man stands between her and her land. Lifting her gaze to swirling clouds in an angry sky, Sunny closed her eyes and sighed when a particularly happy scene replaced the sad one. "Mama, tell me again about the red rocks and our family." 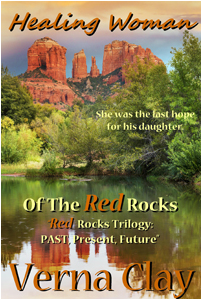 Her mother, Naomi, would smile and reach for the worn magazine featuring pictures of the red cliffs surrounding Sedona, Arizona. 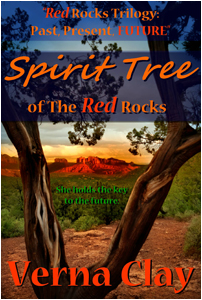 Sitting on their couch she would pat the spot beside her and young Sunny would cuddle next to her, waiting for her mother to open the magazine and tell the story of the woman known as the Healing Woman of the Red Rocks. 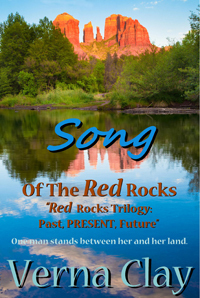 The story would begin when Naomi turned the page to the picture of a huge monolith known as Bell Rock located near the Village of Oak Creek, just outside of Sedona. "Well, Sunny, the Healing Woman lived in a beautiful valley in a cabin built by her great-grandparents near the rock shaped like a bell, and she was loved by all the animals. She could even communicate with them…"
She was the last hope for his daughter. 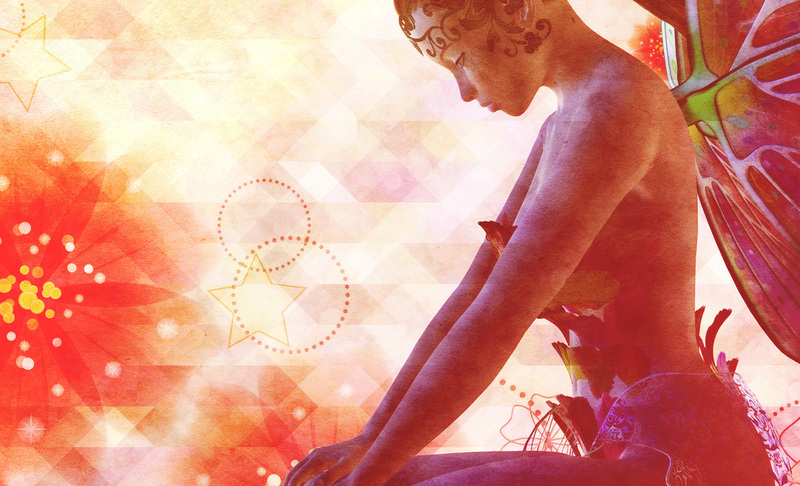 Tana awakened still hearing the echo of her grandmother's words from the realm of dreams. He's coming, dearest Tana. He's the one who will make you cry. Sighing, she turned onto her side and yawned. Her grandmother Frannie had died when Tana was sixteen and she often visited her granddaughter in dreams, always with the same message about someone coming. Years ago, Tana had eagerly awaited his arrival, but when it never happened, she'd decided her grandmother was confused in her heavenly home. Of course, how that could be so, she'd never found a satisfactory answer. Tana stretched and watched dawn lighten her window. She loved the golden rays that reached like loving fingers through the precious glass. It was the only window in her cabin with glass and so it remained permanently unshuttered, except in inclement weather. The other windows were shuttered each night, not because she was fearful, but because of all the forest creatures drawn to her cabin. If the windows were left open, she could awaken to any number of guests—birds, squirrels, chipmunks, skunks, even an occasional snake.